Wolf Commercial Real Estate, a leading South Jersey commercial real estate brokerage firm that specializes in Southern New Jersey commercial real estate listings and services, now has available well-located South Jersey industrial space for sale or lease at 801 E Clements Bridge Road Runnemede NJ. This South Jersey flex building for sale or lease has plus or minus 25,000 square feet of industrial space in South Jersey. 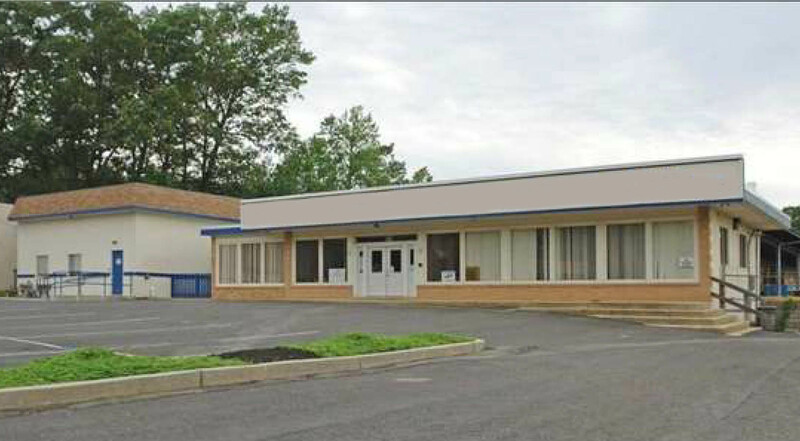 This South Jersey office space/flex space for sale or lease or lease sits on 1.77 acres of land. The asking sale price for this industrial space in South Jersey is $825,000 ($33.00/sf). The asking lease price for this South Jersey flex building for sale or lease at 801 E Clements Bridge Road Runnemede NJ is $4.50 per square foot NNN. This Southern New Jersey industrial space for sale or lease is available for immediate occupancy through Wolf Commercial Real Estate, a South Jersey commercial real estate broker that specializes in Southern New Jersey commercial real estate listings and services. There is 22,160 square feet of industrial space and 1,840 square feet of office space in this South Jersey office space/flex space for sale or lease. The ceiling height in this Southern New Jersey industrial space for sale or lease is 15 feet. 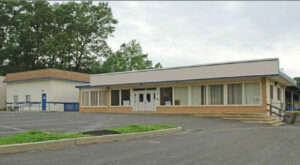 This South Jersey flex building for sale or lease features two loading docks and one drive-in. The lot at this South Jersey industrial space for sale or lease is fenced in and there are 25 surface parking spaces available. Nearly 14,500 cars per day pass by the intersection of E Clements Bridge Road and E 2nd Street near this industrial space in South Jersey. This South Jersey office space/flex space for sale or lease at 801 E Clements Bridge Road Runnemede NJ is being offered by Wolf Commercial Real Estate, a South Jersey commercial real estate brokerage firm that specializes in Southern New Jersey commercial real estate listings and services. This industrial space in South Jersey is directly across from a New Jersey Transit bus stop and next to a large retail shopping center that is anchored by Dollar General. This Southern New Jersey industrial space for sale or lease is conveniently located near the entrances to both I-295 and the New Jersey Turnpike, providing easy access to points north and south. More than 276,000 people live within a five-mile radius of this South Jersey office space/flex space for sale or lease at 801 E Clements Bridge Road Runnemede NJ. The average household income for residents within five miles of this South Jersey flex building for sale or lease is $78,370. For more information about this South Jersey industrial space for sale or lease at 801 E Clements Bridge Road Runnemede NJ, or about any other South Jersey commercial properties for sale or lease, please contact Todd Levin (856-857-6319; todd.levin@wolfcre.com) or Christopher Henderson (856-857-6337; chris.henderson@wolfcre.com) at Wolf Commercial Real Estate, a South Jersey commercial real estate broker. Wolf Commercial Real Estate is a premier South Jersey commercial real estate broker that provides a full range of Southern New Jersey commercial real estate listings and services, marketing commercial offices, medical properties, industrial properties, land properties, retail buildings and other South Jersey commercial properties for buyers, tenants, investors and sellers. Please visit our websites for a full listing of South Jersey commercial properties for lease or sale through our South Jersey commercial real estate brokerage firm.